Blackmoon Financial Group, a blockchain Financial Service and Fintech firm, and Rivver, a Financial Service firm whose goal is to digitize the secondary exchange of LP interests of investment funds, today announced that they have formed a strategic partnership to create a branded Exchange Traded Index (ETx). The new relationship between Blackmoon and Rivver will enable the two financial services firms to work very closely together to create an ETx that tracks Rivver's issued digital assets. 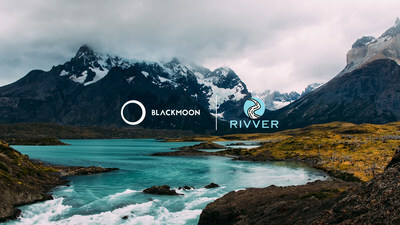 The strategic partnership with Rivver is one of many that Blackmoon intends to form over the coming months. Their ultimate goal will be to have an entire suite of innovative ETx's to offer their own clients as well as those of their partners. Rivver (https://rivver.io) is an end-to-end issuance and asset management platform, tailored to the needs of Private Equity funds. Rivver helps Fund Managers issue digital securities in a compliant way and provide them with a suite of solutions to better manage their operational processes. The Rivver platform provides fund managers with an end-to-end solution, handling all technical and legal requirements of issuing compliant digital securities, as a well as providing a user-friendly asset management platform for fund managers to manage their operational processes, in a user-friendly way.